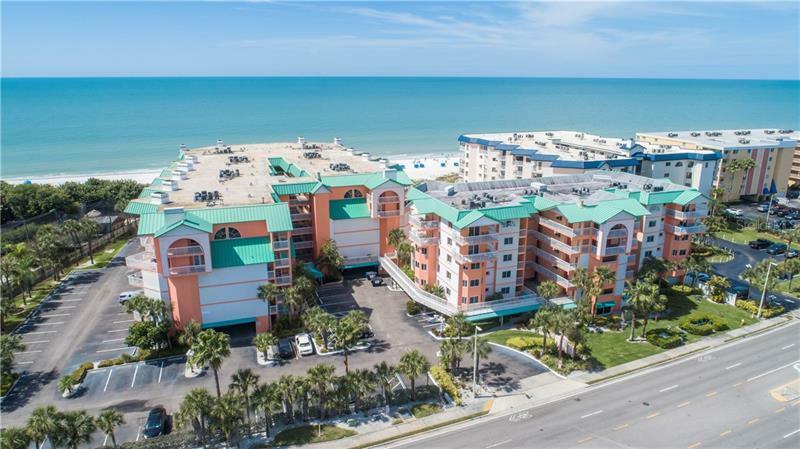 Enjoy the best of beach living in this extra-large 2 bedroom 2 bath gulf front condominium. Fully furnished and ready for immediate occupancy. Unique layout with split bedroom plan featuring an en-suite master bath with separate vanity/ dressing area, an enormous walk-in closet. The large kitchen offers tons of cabinets for an additional storage. Large eating space in the kitchen could be converted to a den or third bedroom. Inside laundry with side by side washer and dryer. The spacious living room has floor to ceiling sliding glass doors that open to the sunny balcony to enjoy the gulf breezes. Big heated pool and spa overlooking the soft white sandy beaches. Gas grill, shower, and restroom facilities are available to enhance your pool experience. This beautiful condominium home is perfect for year-round living, a weekend getaway, or a vacation rental. Beach Cottages allow weekly rentals to maximize your rental income.